EX3300 Ethernet switches are cost-effective enterprise access solutions for data center environments that support converged data, voice, and video. Models come with 24 or 48 10/100/1000BASE-T ports and four GbE/10GbE SFP/SFP+ uplink ports. The EX3300 switches support IEEE 802.3af Power over Ethernet (PoE) or 802.3at PoE+. Optimized for the data center, the switches offer front-to-back and back-to-front cooling options, and can be configured with a DC power supply. 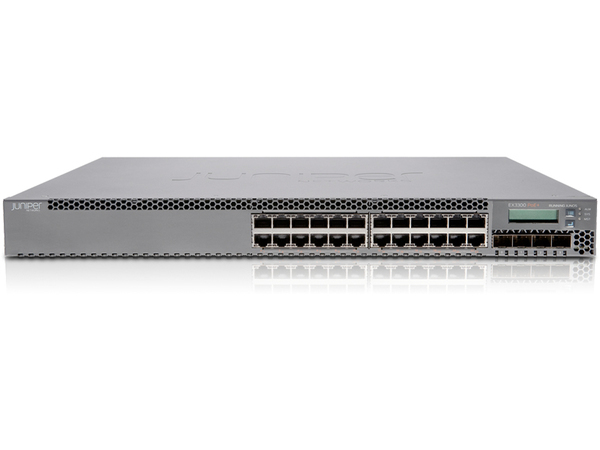 Up to 10 EX3300 switches can be interconnected and operated as a single device using Juniper’s Virtual Chassis technology.